In her acceptance speech she said, “Women of Honor is a big recognition which comprises being Women of Courage. 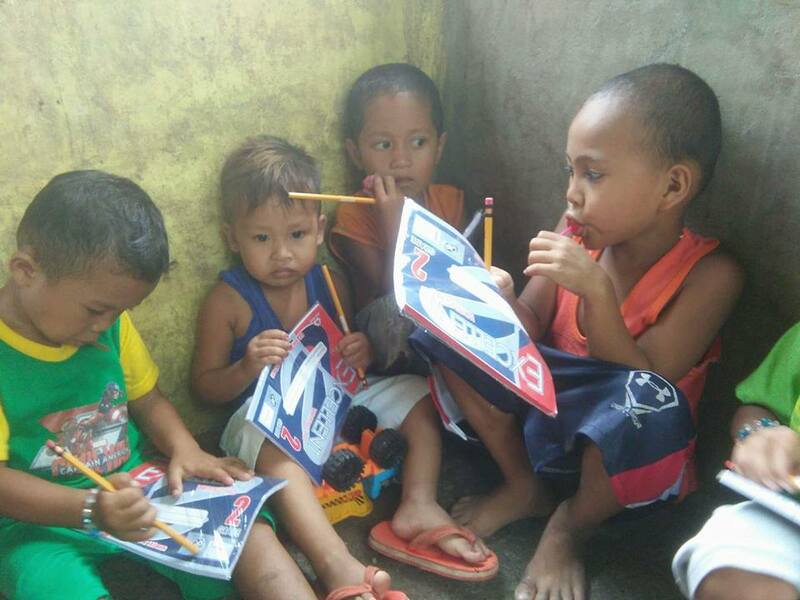 We, women will battle any calamities and obstacles just to achieve our goals. 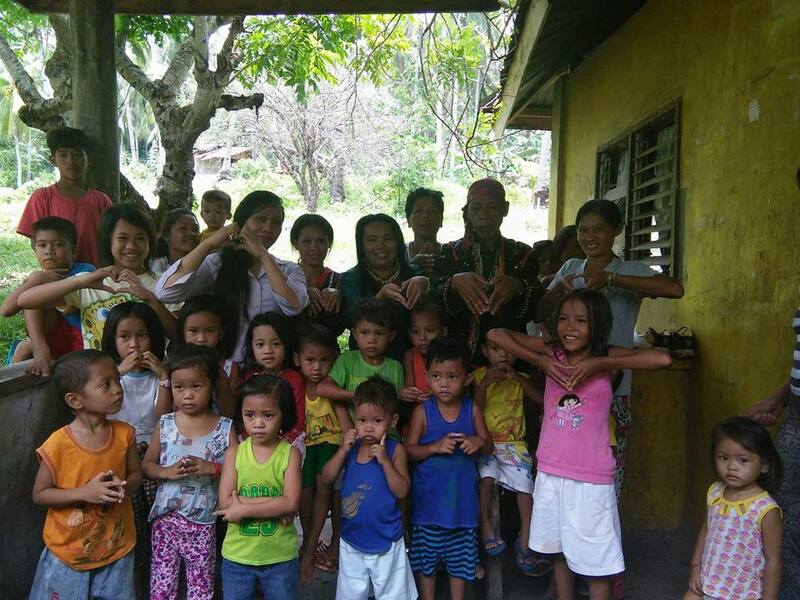 Women of Honor is also Women of Commitment- we are committed to be part of eradicating poverty, eradicating inequality and violence! 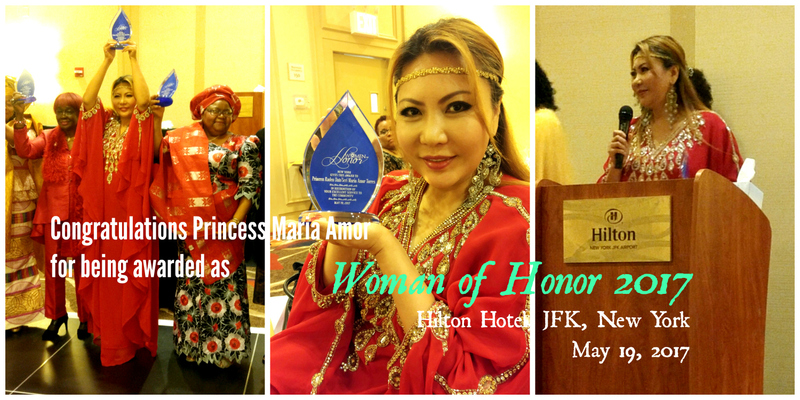 Women of Honor are Women of Action, we are doers, not talkers, we execute our vision and we live our passion! And most of all Women of Honor are Women of Love, Compassion and Spirituality, for no matter how hard we try, if it’s not for our love of God and mankind which is our driving force, we will not go anywhere. 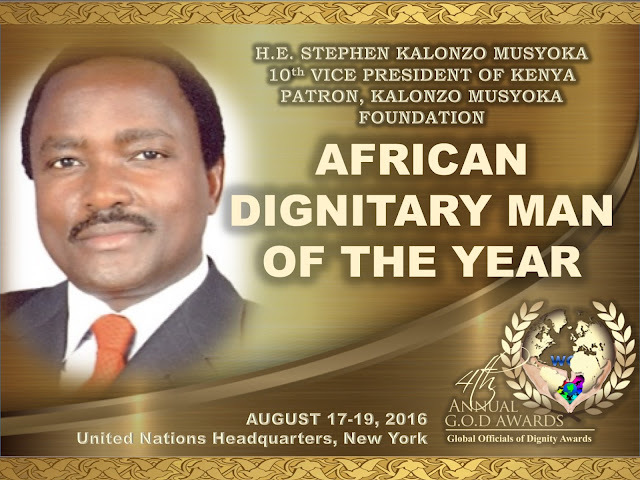 Humanitarianism only works if the foundation is spirituality.”, an applauded remark of Princess Maria. She ended by thanking everyone including,Pastor Felicia, Ms. Mabel Okonyia and Frances Ndika, “this is the best gift on my birthday itself (May 21), being honored as one of the Women of Honor!”. 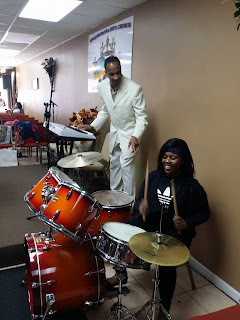 We Care for Humanity (WCH) in collaboration with Ambassador Tony Taylor of New York celebrates WCH Founder’s Month through “Giving Back through Music”, a community service program teaching youth how to play musical instruments in the area of New Jersey and New York. 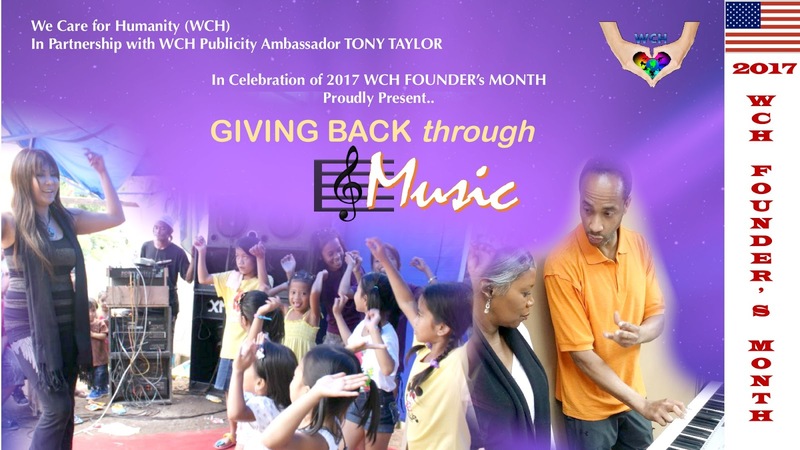 Tony Taylor, an actor-model-brand ambassador who is also WCH Publicity Ambassador said, “I love music and I love helping the youth. 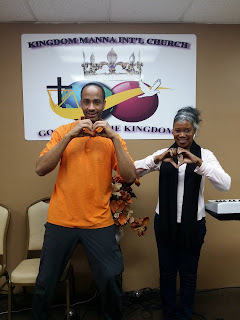 I am glad I was able to contribute in celebrating Founder’s Month by just doing what I love”. Mirroring WCH’s mission: “To Promote Universal Humanitarianism”, Founder’s Month mobilizes humanitarians around the world while celebrating WCH’s inception and the birth month its founder and president, Maria Amor Torres, Crown Princess of Royal Kingdom of Maharlika Darussalam of the Philippines and Bae Insalilay (Traveling Princess) of the Tribal Government of the Philippines. 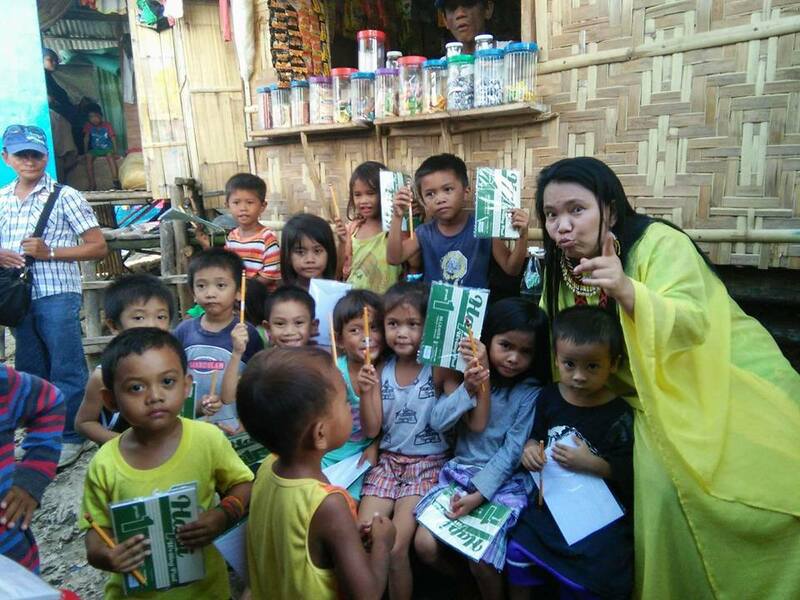 “I want to be of service to humanity using my full capacity, my full ability, using my full resources and influence, whether it’s eradicating poverty or empowering women and children or just plainly celebrating my birthday”, Amor said. “I am in deep gratitude to WCH Ambassadors and supporters around the globe for their endless support, year after year in celebrating the true meaning of WCH Founder’s Month”, she added. *We Care for Humanity, an international organization advocating education, health, world peace, human rights, eradication of poverty, and women and youth empowerment. Blessings and flowers all the way. With all the threats we find today. Together humanity is meant to be. 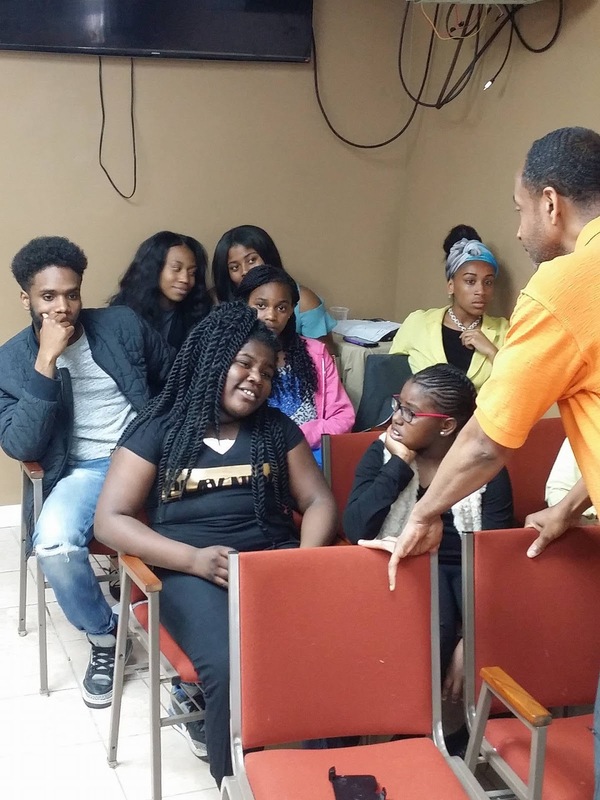 This founders month let dreams increase. Her work and charity, God bless. We Care for Humanity (WCH) in collaboration with The Tribal Government of the Philippines (TGP) celebrates WCH Founder’s Month through “Regalong Edukasyon” a school supply distribution program held at Samal Island in the Philippines last May 1, 2017. 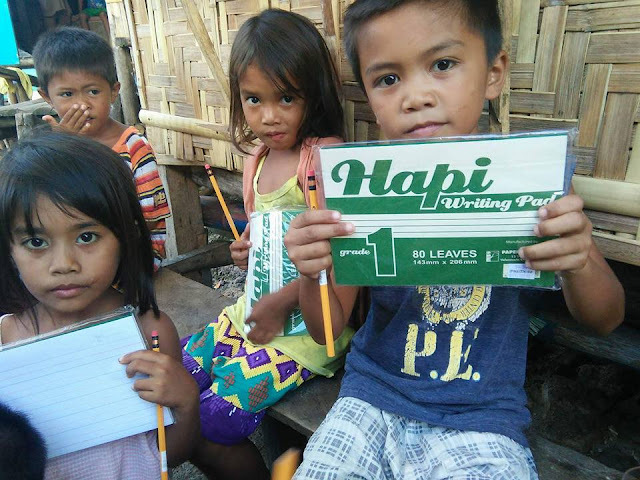 Bae Agnes Escudero, the Secretary General of TGP said, “we are grateful to WCH and Princess Maria Amor for sending these children school supplies for their upcoming school term. I am glad that TGP was able to participate in WCH Founder’s Month by distributing personally this donation from Princess Maria”. 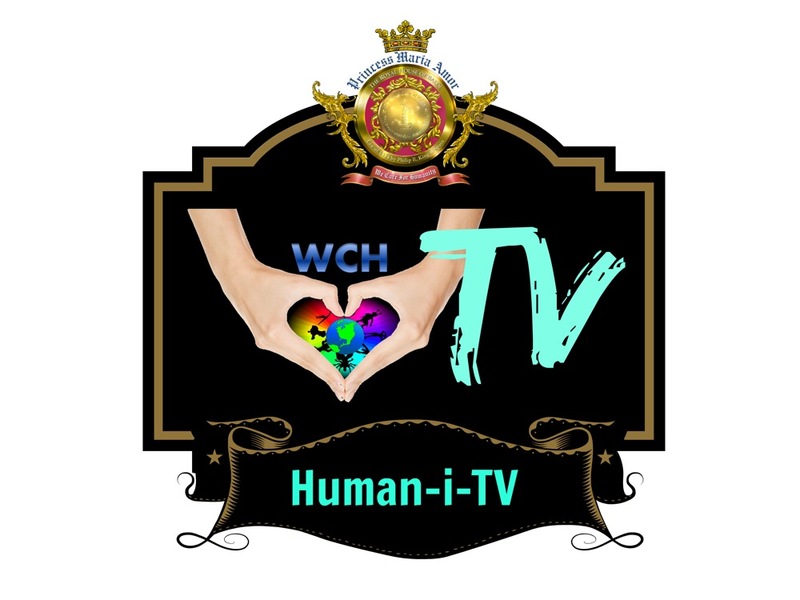 Mirroring WCH’s mission: “To Promote Universal Humanitarianism”, Founder’s Month mobilizes humanitarians around the world while celebrating WCH’s inception and the birth month of its founder and president, Maria Amor Torres, Crown Princess of Royal Kingdom of Maharlika Darussalam of the Philippines. 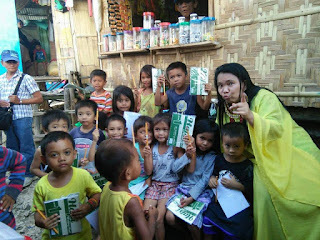 “I want to be of service to humanity using my full capacity, my full ability, using my full resources and influence, whether it’s eradicating poverty or empowering women and children or just plainly celebrating my birthday”, Amor said. “I am deeply thankful to WCH Ambassadors and supporters around the globe for their endless support, year after year in celebrating the true meaning of WCH Founder’s Month”, she added.